Mighty Party is a fast-battle and tactical card online RPG that successfully combines the most fun features of the true contest of heroes! 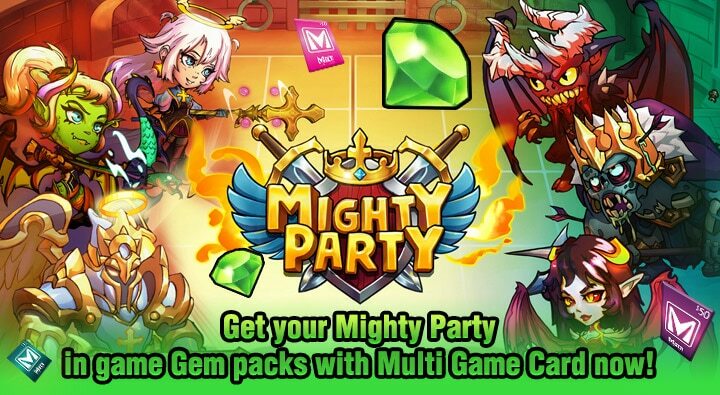 Get your Mighty Party in game Gem packs with Multi Game Card via Xsolla now! – Mighty Party Official Website.